Judge of Israel for seven years after Jephthah; a native of Beth-lehem he had thirty sons and thirty daughters, and was buried in his native town (Judges xii. 8-10). As "Bethlehem" here is not followed by "Ephratah" or by "Judah," the town may have been one in the tribe of Zebulun (Josh. xix. 15). 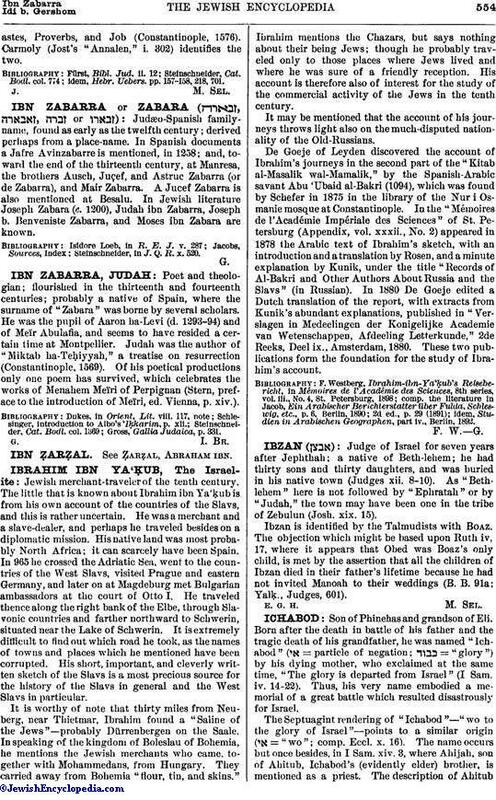 Ibzan is identified by the Talmudists with Boaz. The objection which might be based upon Ruth iv. 17, where it appears that Obed was Boaz's only child, is met by the assertion that all the children of Ibzan died in their father's lifetime because he had not invited Manoah to their weddings (B. B. 91a; Yalḳ, Judges, 601).